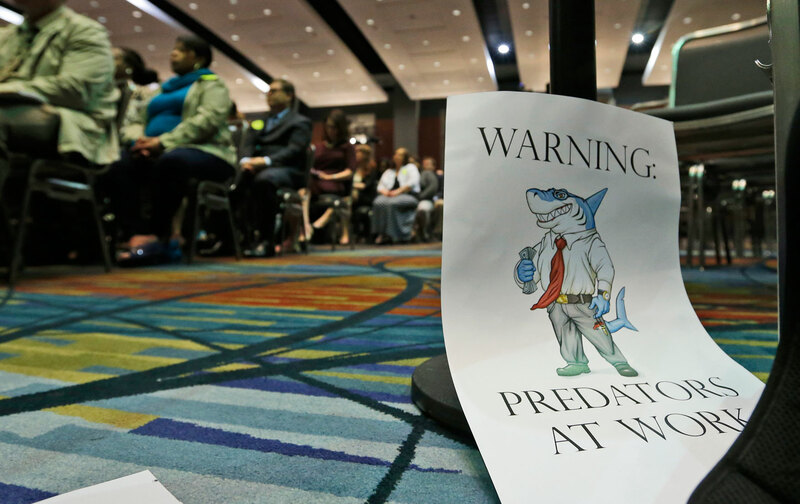 This week, a government watchdog filed an ethics complaint alleging that a dozen members of Congress had received campaign donations from predatory payday lenders immediately before or just after taking action to protect their interests. The donations, first flagged in a report released last week by Allied Progress, a progressive advocacy group, appear to cross the fuzzy line between routine fundraising and a quid pro quo arrangement—what non-lawyers would see as something approaching outright bribery. Allied Progress staff were reviewing contribution data for lawmakers who had taken at least $25,000 from the industry since the CFPB was established in 2011, and they noticed a pattern. A dozen lawmakers received campaign contributions just days before, days after or, in several cases, both before and after sponsoring or co-sponsoring three key pieces of legislation that would have hobbled regulators’ ability to rein in the industry—or signing onto letters to Attorney General Eric Holder and Federal Deposit Insurance Commission Chairman Martin Ginsburg that The New York Times described as an attempt to “intimidate the Justice Department and federal regulators into abandoning an important strategy designed to protect” consumers from predatory lending. The Campaign for Accountability’s complaint calls for an investigation into whether these members violated House ethics rules or criminal laws against influence-peddling. Payday lenders have been locked in a pitched battle with the Consumer Financial Protection Bureau (CFPB), the brainchild of Senator Elizabeth Warren, since its creation. Payday lenders say they offer people who don’t have good credit quick cash when they need it, but the practices Cordray described are widespread throughout the industry. According to a 2014 study by the CFPB, four in five payday loans are either rolled over directly or followed by a new loan within two weeks. Half of all payday loans are issued within a sequence of 10 or more consecutive loans. With each rollover or new loan, borrowers typically rack up more fees. She and her husband were struggling to raise four kids through several periods of unemployment, and when they couldn’t keep up with their payments, their car was repossessed. So Maze pawned some of their possessions for $200 and then took out a $150 payday loan to help buy another car so she could get to work. She says she can’t recall how much the total payments on the loans added up to, but she soon found herself having trouble keeping up, and that’s when the threatening letters started arriving. The CFPB was established in the wake of the 2008 financial crisis to protect people like Maze, but the industry and its defenders in Congress have fought hard to hobble the agency’s ability to do its job. Americans for Financial Reform reported that payday and title lenders and their trade associations reported over $15 million in lobbying and campaign cash during the 2013-2014 election cycle. 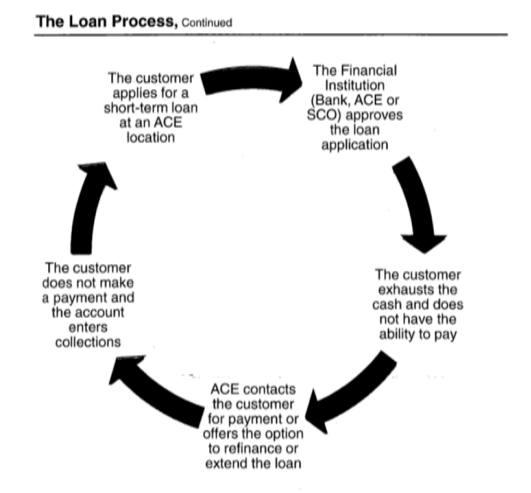 Half of all payday loans are issued within a sequence of ten or more consecutive loans. The complaint filed this week with the Office of Congressional Ethics may or may not lead to sanctions against what Allied Progress has dubbed “the Dirty Dozen.” That body can only make recommendations to the House Committee on Ethics, which has a less-than-sterling record policing its own.